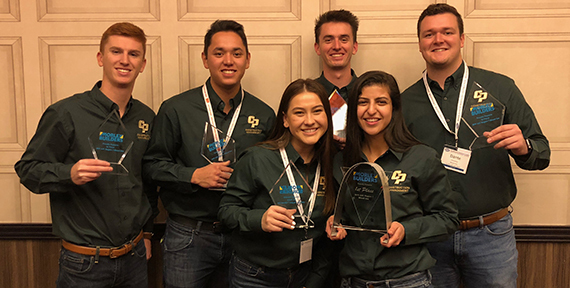 SAN LUIS OBISPO — Cal Poly construction management students earned top honors and took home more trophies than any other university at the Associated Schools of Construction competition in Reno, Nevada. Five out of 12 Cal Poly teams placed in the top three spots in their respective categories. Cal Poly students earned first in the Concrete, Heavy Civil, and Mixed Use categories; and third in the Commercial and Project Management categories. Concrete and Project management were national awards, while Commercial, Heavy Civil, and Mixed Use were regional. A total of 197 teams from 49 universities competed in this year’s competition, held Feb. 6-9. 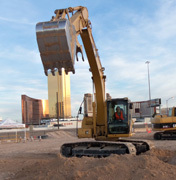 A record-high 1,463 construction management students (including alternates) participated in the competition, including 96 Cal Poly students from the College of Architecture and Environmental Design. Cal Poly has competed in this event for 31 years. For complete competition results, go to http://www.asc67.org. For more information about Cal Poly’s Construction Management Department and to see photos of the winning teams, go to https://construction.calpoly.edu/content/competitions-and-awards/asc-6-7.